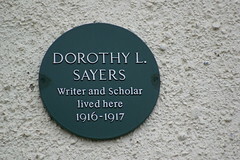 Dorothy Leigh Sayers (/ˈsɛərz/ SAIRZ; 13 June 1893 – 17 December 1957) was a renowned English crime writer, poet, playwright, essayist, translator, and Christian humanist. She was also a student of classical and modern languages. She is best known for her mysteries, a series of novels and short stories set between the First and Second World Wars that feature English aristocrat and amateur sleuth Lord Peter Wimsey, which remain popular to this day. 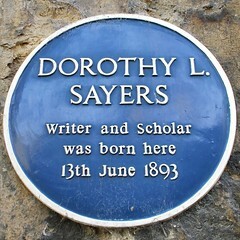 However, Sayers herself considered her translation of Dante's Divine Comedy to be her best work. She is also known for her plays, literary criticism, and essays. 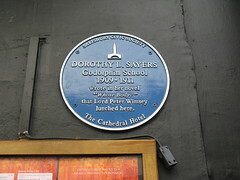 Dorothy L. Sayers Godolphin School 1909-1911 wrote in her novel "Whose Body?" that Lord Peter Wimsey lunched here.